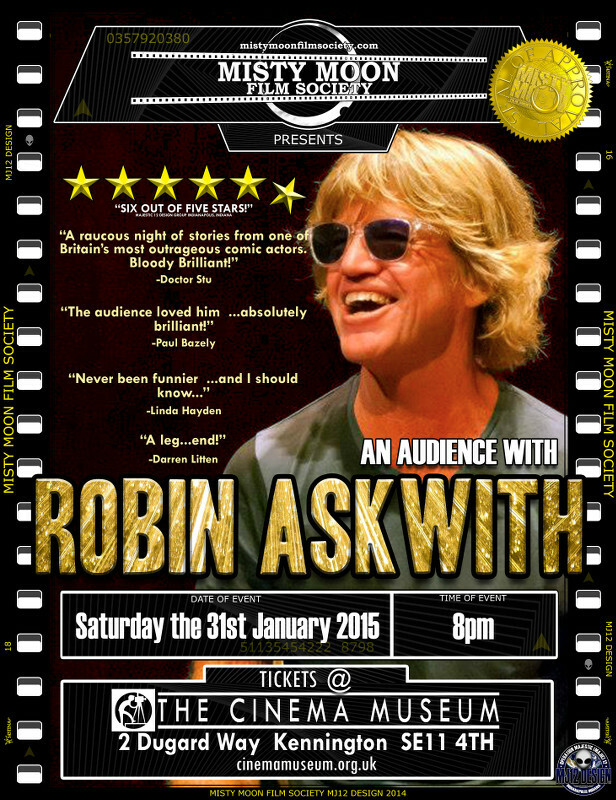 The next leg of the critically acclaimed Robin Askwith Tour is at the prestigious Cinema Museum. Come and listen to the hilarious confessions and stories by one of Britain’s best loved comedy actors. Hosted by Misty Moon’s outrageous MC Chris Collins.